Welcome to the infinite combo and strong synergy database! 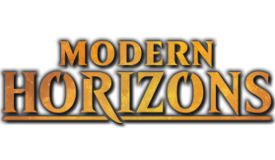 This thread was originally created, maintained, and sustained by mazanostra, recently taken control of by HansonWK, more recently redone by me, and of course the suggestions of the community. This thread will contain as many infinite combos and good synergies as possible to help you find the right combos for your decks. If you find any formatting errors, such as card links not working properly or there being too much or too little space between things, please let me know and point it out to me. It is greatly appreciated! Please read through the following spoilers before you submit a combo or synergy. Otherwise, enjoy and happy deck building! An example of an infinite combo would be ‘Tidespout Tyrant + Sol Ring + Mana Vault = infinite colorless mana’ and an example of a strong synergy would be ‘Novijen, Heart of Progress + Glen Elendra Archmage/Woodfall Primus = recurring non-creature counter/target non-creature destruction.’ Rule of thumb for when you are giving a suggestion: if the cards go infinite or have the potential to infinite then it’s an infinite combo; if the cards work well together by creating an outcome greater than the sum of its parts then it’s a synergy. Please do not submit cards that simply using their abilities (such as Borborygmos Enraged + lands), but instead suggest synergies that are more game-changing. Borborygmos Enraged + Snake Umbra + Abundance is an example of a combo. Please do not submit anything that involves Omniscience. That is not a combo, that is Omniscience being itself. Also, if your combo produces infinite mana then don’t bother suggesting some X spell or ability along with it unless it’s required for the combo to work. You do not always need to include a finisher in your combo if it goes infinite in some way. For example, if your combo results in having an infinite number of ETB triggers then you don't need to have Altar of the Brood as one of the cards because there are plenty of 'when a creature/permanent ETB then x.' That portion of the combo should come from the deck builder since they will search gatherer for that ability they may run across more cards that they didn't know about and discovery new things for themselves, which is a great way to learn. The same goes for infinite mana and infinite gravestorm. x spells and ‘when a x goes to the graveyard’ can easily be found on Gatherer. Also, please put the colors of your suggestion in mana symbols prior to your suggestion in color-wheel order. To do this, put any of W, U, B, R, G, and/or C, whatever is applicable, with the word 'mana' inside [square bracets] before and the word '/mana' inside [square bracets] after the mana. Please format your combo's properly! This includes grammar, capitalization, spelling, and that card links and symbols are working. This guide is going to look great and it’s going to have zero mistakes if I can help it. It will make my job a lot easier if you do your part, because if you don’t I have to correct every mistake and I don’t plan on doing that. You’ve been notified. Unless otherwise requested I will put your combo in a specific section if it falls under one of the few specialty sections, such as being commander-specific. This would really only make the list slightly more organized and maybe a bit shorter. The other way I thought about redoing the thread would be with the same sort of set-up, though its current iteration makes it messy. There are occasionally cards or combos that you can do across multiple different colors that have the same outcome because the cards have a similar effect. I wouldn't want to put these in the total colored section that all possible cards have, but I'd put it in the section of the common denominator of the combo. I'll give you an example of how I'm thinking it would look. I feel like this can potentially lead to confusion because of the multiple different colors and it's listed in the colorless section, though when one would happen across Helm then they'd see it's possible to do in W, B, or . Likewise, people will see a good common enabler and be able to pick what it goes in. Deadeye Navigator can go with multiple different colors for various outcomes, so he would be listed in a similar fashion as above. This is all on the drawing board currently so no need to worry about a reformatting coming overnight. Input on this would be wonderful though because I would like to make the thread very pretty. Best case, though this goes beyond a forum post, would be to make a site with all this information and users could put in one card and you could get all results that include that card. There is something like that that I use already, and I'm going to be working on importing their info to here since I found the basis of one of my EDH decks that still needs work that I have linked in my profile wink wink plug plug. Ramble over. If you have any suggestions please let me know. 2) Target your own dudes. Let the abilities resolve, then target itself. It flickers, bringing back your dudes with it. This lets you infinitely re-use any ETB ability. W Reveillark + Karmic Guide + Leonin Relic-Warder + mana rock + sac outlet = infinite mana. You just keep tapping the stone and then exiling it/returning it untapped. W Mycosynth Lattice + Stony Silence = Lockdown of all activated abilities, even mana abilities. W Well of Lost Dreams + Words of Worship = repeatable 6 Tidings triggered by either life gain or card draw. Pay 1, skip your next draw, gain 5 life, pay 5, draw 5 cards. U Mind Over Matter + Azami, Lady of Scrolls + 3 cards in hand. 1. Filter a card in your hand for Sol Ring and play it with the 1 mana in your pool. Tap it. 2. Filter a card in your hand for Grim Monolith and play it. Tap it. 3. Filter a card in your hand for Temple Bell. Play it. Tap it. 5. Repeat step 4 until everyone at the table has drawn their entire deck. Make sure you have a legendary eldrazi in the deck to shuffle your graveyard into your library. Mind over Matter + Azami, Lady of Scrolls + 1 card in hand. 1. Filter the one card you have in your hand for Gush. Play it for its alternative cost. 2. Filter 2 cards for mana Crypt + Sol Ring/mana Vault. Play them, activate them. 3. Filter the third card for Temple Bell. Play it, tap it, mill the table. U Tidespout Tyrant + cheap artifacts / mana rocks = infinite mana/storm, e.g. Sol Ring and any 0 drop, or mana Vault and any 1 drop. U March of the Machines + Salvaging Station + Krark-Clan Ironworks + any 1 drop non-creature artifact = infinite colorless mana. U March of the Machines/Tezzeret the Seeker/Karn, Silver Golem/Animate Artifact + Voltaic Construct + Dreamstone Hedron/Basalt Monolith/Everflowing Chalice with more than 2 charge counters/Thran Dynamo = infinite colorless mana. U Power Artifact + Basalt Monolith /Grim Monolith = infinite colorless mana. U Magosi, the Waterveil + Rings of Brighthearth + Candelabra of Tawnos/Deserted Temple = infinite turns. U Teferi, Temporal Archmage as commander + The Chain Veil = infinite mana, infinite planeswalker abilities, and infinite draw. R Goblin Sharpshooter + Elemental Mastery + sac outlet = infinite sac outlet and mana. If you pump the sharpshooter, there's infinite tokens too. R Mana Echoes + Myr Matrix = infinite mana and tokens. With 0 myr in play it takes 13 mana to get started. C Basalt Monolith + Rings of Brighthearth + Voltaic Key + any artifact = infinite mana and infinite untaps of any artifact (notably: Planar Portal for infinite tutors, Myr Turbine for infinite tokens, and Lux Cannon to destroy any number of target permanents. 1. Have Rings, Monolith, and Top in play. 2. Tap Monolith for 3 mana, then use that 3 mana to untap itself, paying 2 additional mana to copy the untap ability (It is a separate ability, not a mana ability). 3. Untap the Monolith twice, tapping it both times for a total of 6 mana. 4. Keep untapping the Monolith twice for 5 mana (3 + 2 to copy with the Rings) and then tapping it twice for 6, netting you 1 mana each time, generating infinite mana. 5. Tap the top to draw a card, using 2 of your infinite mana to copy the ability using the Rings. 6. Draw a card, then put the Top on top of your deck, then redraw the Top from the second iteration of the ability resolving. 7. Replay the Top using your infinite mana and repeat steps 5 and 6 to draw as many cards as you want. Another variation on this combo is with another versatile, cheap, colorless card, being Voltaic Key, and resulting in infinite untaps of any artifact. Using infinite mana and the Rings copying ability, the Key can untap another artifact and itself over and over again. Notable artifacts for this include Planar Portal for infinite tutors, Myr Turbine for infinite tokens, and Lux Cannon to blow up anything and everything you want. Yet another combo unrelated to those above is the Isochron Scepter + Mystical Tutor combo, fetching Beacon of Tomorrows every turn for infinite turns (assuming you have the mana to cast it). One more extremely dumb combo to finish it off: Mycosynth Lattice + Null Rod/Stony Silence results in nobody being able to activate the abilities of anything, including all activated mana abilities. This is basically a griefer combo, albeit an extremely powerful one. When this combo is used, the game basically shuts down altogether (other than combat) so consider yourself warned. 1. Basalt Monolith + Rings of Brighthearth + Sensei's Divining Top = Infinite mana and infinite card draw. 3. Isochron Scepter + Mystical Tutor = Fetch Beacon of Tomorrows every turn for infinite turns. 4. Mycosynth Lattice + Null Rod/Stony Silence = Lockdown of all activated abilities, even mana abilities. UG Experiment Kraj combos. The creatures involved have to have at least +1/+1 counter on them. BR Endless Whispers + Spreading Plague = stall the game out with endless destroy/recursion triggers whenever another creature sharing a color ETB. Add Vicious Shadows to win via direct damage or Maggot Carrier if you have the most life. Phyrexian Metamorph enters as nothing, but gets +1 toughness so it doesn't die. Rite of Replication kicked copies the Phyrexian Metamorph which copies Lotus Bloom four times and Eternal Witness one time returning Rite of Replication. Sac three Lotus Blooms for 9 mana, cast Rite of Replication kicked on Metamorph making the same thing again. The Lotus Bloom you left alive can be copied, then you can sac it for 3 extra mana per cycle. +3 mana of any color every time, and whenever you want, you can make 2x Lotus Bloom and 2x Eternal Witness to bring back extra things from your GY. Just use the mana floating from the last remaining Lotus Bloom (the one you left to be copied) for the last 3 mana. 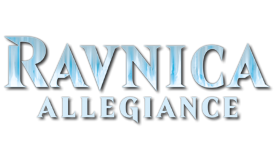 WUG Survival of the Fittest discarding Palinchron, Venser, Shaper Savant, and Deadeye Navigator while fetching Karmic Guide as your last tutor from Survival. 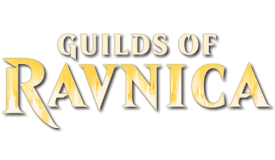 Cast Karmic Guide getting back Deadeye Navigator. Flicker Karmic Guide getting back Palinchron. Flicker Palinchron for infinite mana. Flicker Deadeye Navigator to soulbond with Karmic Guide. Flicker Karmic Guide to get back Venser, Shaper Savant. Flicker Deadeye Navigator to soulbond withVenser, Shaper Savant with infinite mana. Flicker Venser, Shaper Savant to bounce every permanent owned by opponent. Replace Deadeye Navigator with basically anything. UBG Titania, Protector of Argoth + Life and Limb + Conspiracy/Xenograft/Artificial Evolution + sac outlet = Infinite EtB triggers and gravestorm triggers. BRG Hermit Druid + Reanimated Necrotic Ooze with Dread Return and in your graveyard Devoted Druid, Morselhoarder and Shivan Hellkite. If it resolves it's almost impossible to stop. Its = infinite mana of any color and infinite damage. BRG Mikaeus, the Unhallowed + Ulasht, the Hate Seed + Ashnod's Altar = infinite colorless mana, infinite saprolings, and infinite damage to creatures. Generates infinite colorless mana, infinite saprolings, and/or infinite damage to creatures. Assume only Mikaeus and Ashnod's Altar on the battlefield (additional red and green creatures can be sacrificed for mana to work the combo, but lets start on an empty board). 1) Cast Ulasht, he comes into play as a 1/1 (care of Mikaeus, no counters). Ulasht has undying. 2) Sac Ulasht to the Altar for 2. Ulasht returns to the battlefield with a +1/+1 counter. 3) Use 1 to remove the +1/+1 counter and deal 1 damage to target creature. Repeat step 2). 4) Sac Ulasht to the Altar for 2(3 in pool). Ulasht returns to the battlefield with 2 +1/+1 counters (1 from undying, 1 from the 1/1 green saproling token). 6) Sac Ulasht to the Altar for 2 (3 in pool). Ulasht returns to the battlefield with 4 +1/+1 counters (1 from undying, 3 from the 1/1 green saproling tokens). 8) Sac Ulasht to the Altar for 2 (3 in pool). Ulasht returns to the battlefield with 7 +1/+1 counters (1 from undying, 6 from the 1/1 green saproling tokens). 10) Sac Ulasht to the Altar for 2 (2 in pool). 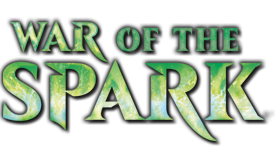 Ulasht returns to the battlefield with 12 +1/+1 counters (1 from undying, 11 from the 1/1 green saproling tokens). 11) Sac 5 saprolings for 10 (12 in pool). Use 12 to put 12 saprolings into play (0 mana in pool, 18 saprolings total). 12) Sac Ulasht to the Altar for 2 (2 in pool). Ulasht returns to the battlefield with 19 +1/+1 counters (1 from undying, 18 from the 1/1 green saproling tokens). WUBRG Hermit Druid + Saffi Eriksdotter + Crypt Champion + Caller Of The Claw + Anger + Narcomoeba + Fatestitcher + Dread Return = infinite hasted bears provided you play a deck with no basic lands. Due to popular demand, the sacrifice outlets will be returned however they will be exclusively on gatherer. This gives more of a comprehensive list, and you can even edit the search if you need something to fit a more particular niche. Gatherer link to all cards that require you to sacrifice a creature as part of its activation cost but do not include another cost. Open in new tab. Ghave + creature with undying + Phyrexian Altar/Ashnod's Altar = infinite gravestorm, infinite dudes, infinitely large creatures creatures, and infinite mana. 3. Use the mana to sac the 2nd saproling token using Ghave's effect and add a +1/+1 counter to target creature. I removed the top suggestion. Thank you for pointing that out. Kiki, Resto, and Village Bell-Ringer are listed already; they're in the combo section, not the synergy section. Thanks for taking of this thread Magnivore! Oath of Lieges + Aggressive Mining = Sac lands to get cards and still never miss a land drop. Auramancer + Impending Disaster + Blink enabler = Fun Land Destruction Loop. Oath of the Gatewatch; the set that caused the competitive community to freak out over Basic Lands. Location: Wherever your mom's sleeping. Kamahl, Pit Fighter equipped with Scythe of the Wretched. Have Kamahl harakiri himself, and he will return and re-equip to the scythe. With Warstorm Surge or Purphoros, God of the Forge in play this creates repeatable damage to opponents, and with Vicious Shadows for repeatable pseudo-Sudden Impacts. Kamahl, Pit Figther + Scythe of the Wretched + (one of the following; Warstorm Surge/Purphorose, God of the Forge/Vicious Shadows) = potential infinite damage to opponents face. Looking good! 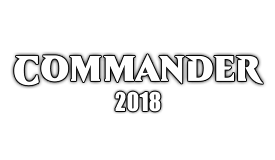 I've updated the Commander resources sticky with this new link. Thank you, sir/ma'am! I will continue working on this and trying to make it prettier if possible. I don't think an expand/collapse all button exists in BB code which is unfortunate. I don't think I'll take any suggestions from this thread until I port everything else over, so everyone here is on standby until then. Also, macabre, check your spelling. Sir, although I don't think I have enough gray hairs to be called that. AFAIK, there isn't an 'expand/collapse all' function here with spoilers. It would certainly be useful here, although I can't imagine how it could be effectively implemented. Turnabout + Reiterate is listed twice. Izzet Guildmage + Reset + Lightning Bolt or something similar = Infinite mana and infinite Lightning Bolts. Soulfire Grand Master/Nivix Guildmage/Reiterate + Reset/Turnabout + burn spell/mill spell/Time Warp variant for the win. Just Soulfire Grand Master + Time Warp for that matter. Can you tell that I love this card yet?! WG Eternal Witness + Zuran Orb/Sylvan Safekeeper + High Market + Faith's Reward/Second Sunrise + 5 or more mana in lands that enter untapped = Infinite mana and life. Can also be done without High Market with another sac outlet. In that case, add etb effects for shenanigans. Also Titania, Protector of Argoth. WU Archaeomancer/Mnemonic Wall/Scrivener + Faith's Reward/Second Sunrise + Zuran Orb + High Market + 5 or more mana in other lands that enter untapped = Infinite mana and life. Can also be done without High Market with another sac outlet. In that case, add etb effects for shenanigans. U Filigree Sages + Heartstone/Training Grounds/Illusionist's Bracers/Rings of Brighthearth+ Gilded Lotus = Infinite Mana. 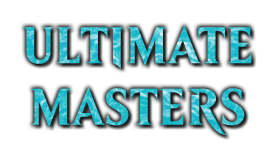 U Master Transmuter + Freed from the Real/Pemmin's Aura + any two manarocks that make blue OR Gilded Lotus with an artifact in hand = Infinite Mana. U Master Transmuter + Intruder Alarm + March of the Machines + any two manarocks that make blue and an artifact in hand = Infinite Mana. U Gilded Lotus + March of the Machines + Pemmin's Aura/Freed from the Real = Infinite mana. Can also be done with Deadeye Navigator and a haste enabler. U Aphetto Alchemist/Fatestitcher + Gilded Lotus + Pemmin's Aura/Freed from the Real = Infinite mana. U Illusionist's Bracers + Fatestitcher + Clone = Infinite mana. UR Tezzeret the Seeker + Ral Zarek + Gilded Lotus + The Chain Veil = Infinite damage, mana and turns. Tezzeret untaps Lotus and Veil, Ral untaps Lotus. This makes infinite mana for the Veil. Minus Ral to win the game. WUB Ad Nauseam + Angel's Grace + Laboratory Maniac = Win. Can also use Sickening Dreams in straight WB or Firestorm If in red. Synergy: WUB Mystical Teachings fetches both Ad Nauseam and Angel's Grace to draw the deck and kill the table with Sickening Dreams, Firestorm, Laboratory Maniac or Skirge Familiar + x-spell as a payload. Thought I would go through some of the thread and look for mistakes. Sun Titan + Gift of Immortality does not go infinite, because Gift returns at the end step. It's a synergy though. If you're including Task Force combos, don't forget Shuko / Lightning Greaves / etc. Palinchron + Deathmantle + Sac Outlet is listed, and then again with Diamond Valley / High Market, and then again with Homarid Spawning Bed. Peregrine Drake is spelled Pelegrine Drake in one of the mono-blue combos. Pali + Phantasmal Image is listed, then listed again with Thawing Glaciers as an "outlet." Aphetto Alchemist + Illusioner's Bracers is listed many times with different outlets. Mindslaver + Academy Ruins does not give infinite Mindslaver activations, but rather one per turn for the rest of the game. The difference is especially important in a four-player format. Necrotic Ooze + Trike + Phy Devourer is listed twice, and once is called infinite damage, which it's not. Mikaeus + Workhorse doesn't work - Mike's static gives Workhorse +1/+1, so it won't die. You need a sac outlet to actually do anything there. Mike also goes infinite with Woodfall Primus + a sac outlet. Jarad, Golgari Lich Lord + Phyrexian Devourer = Each opponent loses life equal to the total CMC of your deck. Technically non-infinite but I think we can call it an infinite combo. In a similar vein, Jarad + Lord of Extinction. Maybe throw those under commander-specific. Greater Good is also very nice with the aforementioned creatures. Ghoulcaller Gisa + Graveborn Muse is a powerful draw engine. UBG Gravecrawler + Aluren/Rooftop Storm + sac outlet. G Mirari + Rude Awakening/Early Harvest + Regrowth + Recollect = Infinite mana and return everything from your graveyard to your hand. WUR Jeskai Ascendancy + Vedalken Mastermind + Silver Myr + Everflowing Chalice = Infinetly pump your creatures, filter through your deck. Add another manamyr for Infinite mana. UG Garruk Wildspeaker + Tezzeret the Seeker + Gilded Lotus/Thran Dynamo + The Chain Veil = Infinite tokens, mana and overruns. UG Nissa, Worldwaker + The Chain Veil + Tezzeret the Seeker + manarock = Infinite mana and Nissa activations. Pestilence/Pyrohemia + Coalhauler Swine/Stuffy Doll = Loads of damage to everyone. I do appreciate everyone lending extra QC abilities, so thank you for that. razzliox, the reason for some redundancies is because there are different outcomes when you add certain cards like what you mentioned with Palinchron. Ideally I would love to list each base combo possible and just let people add in this tap ability or that ETB trigger effect as they see fit but it just won't work that way, so I'm hoping to inspire at least a little bit with different possibilities. I did take out some redundancies though because, after rereading some of them they were a bit too redundant. Redundantly redundant. Otherwise I've added everything that was unique once again that has been submitted. In the Mono-Blue combo section it says Aphetto Alchemist/Fatestitcher + Illusionist's Bracers goes infinite. This is true for Aphetto Alchemist, but as Fatestitcher cannot untap itself it doesn't work without a clone effect(which is listed lower on the list). The same is true for the UR Koth of the Hammer + Aphetto Alchemist/Fatestitcher + Illusionist's Bracers + Mountain combo. I'm looking forward to seeing a cleaner list, a lot in this list could be much tidier.... thanks for taking it upon yourself to improve it! I think there has been some confusion here, as sun titan can recur gift of immortality to infinitely reuse a sacrifice outlet. While you are correct that it will only allow for recursion of a different target once per turn, it can still go infinite. It is my opinion that this falls into both categories, depending on use. I'm currently thinking about how it could be, though I found this comment kind of rude. At least things are being updated for the first time in a year and are aesthetically nicer. I'm sorry, I certainly did not intend to be rude. All I meant to say was that although useful(and the work that has been put into it really shows) the list has been jumbled, with some combos that didn't actually work, some listed several times or in wrong places etc. It is nice that someone is putting in work and improving the thread, and it is appreciated. I use this list a lot and will keep doing so. I did not mean to offend in any way, really quite the opposite. Short version: Good work, I'm looking forward to you making this thread even better! Head Games + Psychic Intrusion/Reversal of Fortune = Search target opponents deck for a card and play it. Can we get the sac outlets back? Searching for sac outlets always gives creatures like Abhorrent Overlord that have the right search terms, but aren't what we are looking for as combo pieces.